Here is a pantomime project based on the Ontario Curriculum. 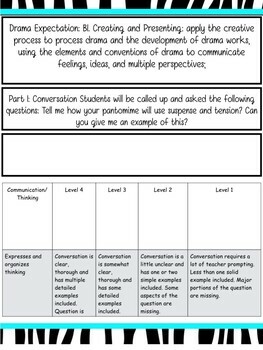 The pack includes a Conversation, Observation and Product with rubrics attached! Print and go! Super easy for students to access and teachers to use!